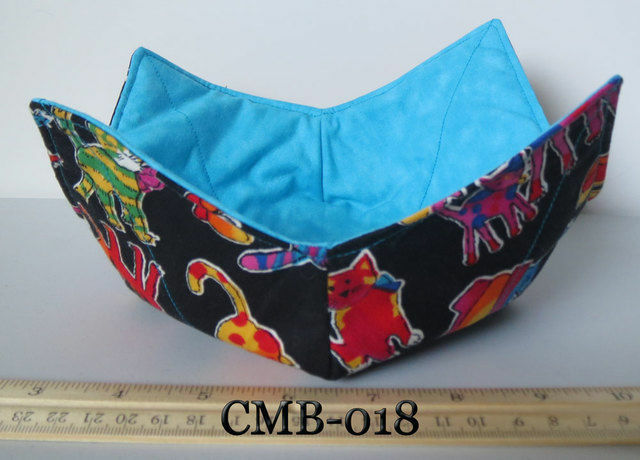 This is a fabric bowl cozy. microwave and offer some surface protection as well. If you like to eat in the living room, these will be very useful! 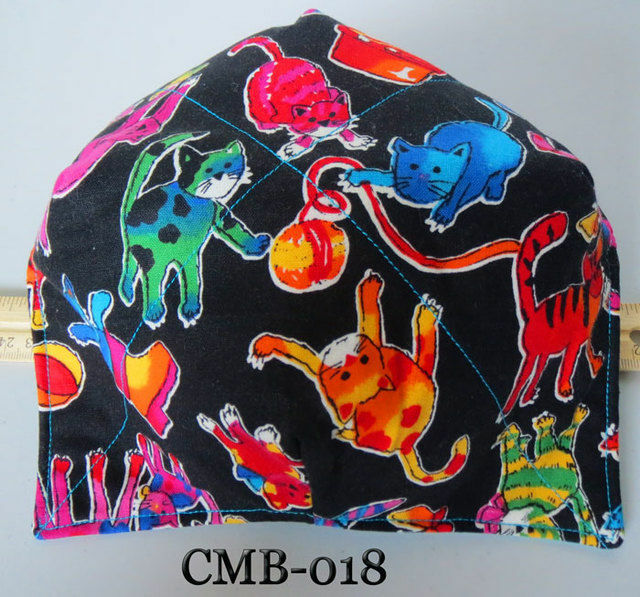 Made of 100% cotton, this cozy has two different fabrics and is completely reversible. with cartoon cats in various bright colors and patterns. 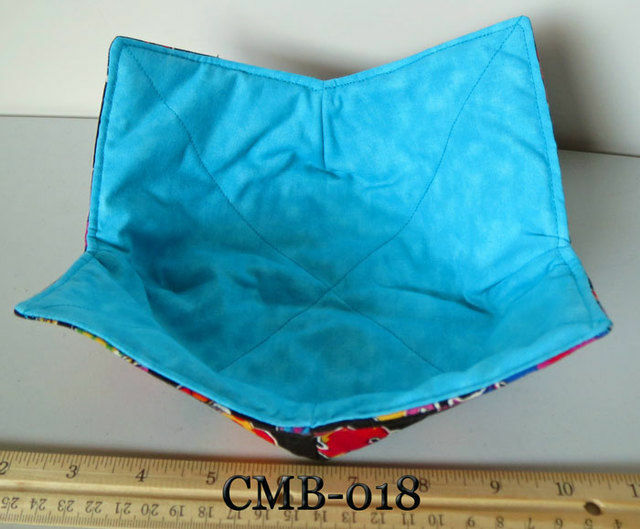 The second fabric is a tone-on-tone turquoise blue. They are better for protecting your hands and your tables. These cozies also make cute and useful teacher or hostess gifts!